I love Disneyland. Anyone who knows me, knows I am crazy for the place. Disneyland is always redoing, reinventing and re-imagining. 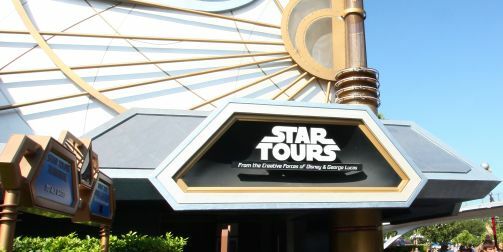 This time they’re revamping the classic Star Tours ride. While the original is a nice piece of nostalgia that will stay with me forever (I was one of the last people to ride the original when I visited the park this July), I see the need for the update. No one’s completely sure what the end product will look or feel like, but one thing is for sure. Disney Parks Blog has posted the video that you will see during your wait in the ride’s queue that will start playing next year when Star Tours II officially opens its doors.